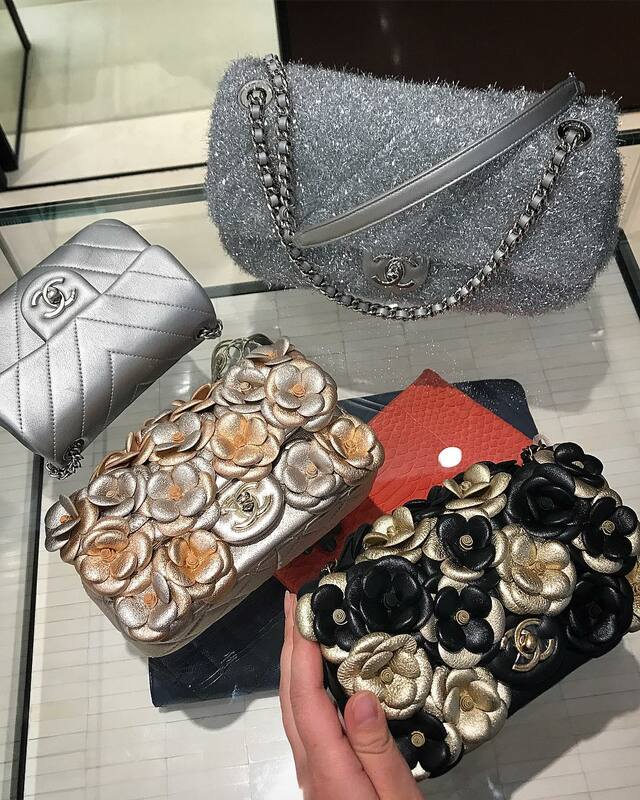 Chanel has lifted the Camellia flower to a whole new level by introducing these handbags. Presenting the Multicolor Camellia Flower Bag for the Fall Winter 2017 Collection. This Camellia has always been a vital part of the house, because it’s something that Coco Chanel was obsessed about. In fact, she started incorporating this flower into her designs after she received a boutique full of camellias from Chapel (the love of her life) one day. The CC logo, the reissue lock, the diamond quilting and the Camellia flower are all part of Chanel’s history. This handbag is a statement-maker and it’s perfect to wear for the Summer or the Winter. 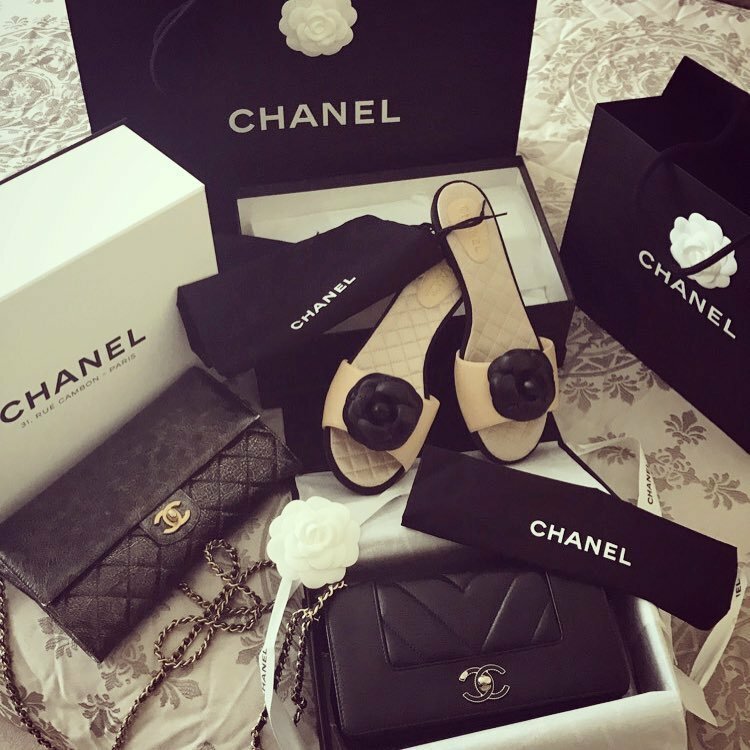 First of all, these handbags are Chanel Flap Bags; they are similar to the Classic Flap Bags. They feature the signature components like the woven chain leather strap, the CC closure and the diamond quilting. Then it’s designed with Camellia Flowers all over the body, like it has grown onto it. The Camellias are all crafted in 3D and they’re made in leathers. These bags are made in multicolor; if you pick the color black then the flowers are black and gold. If you pick the silver shade, then the flowers are silver and orange (like being spray painted). The interior is just like the Classic Flap Bag. It features the main compartment and additional pockets to organize your personal stuff. Currently we do not have the exact measurement, style code or the prices. Please check with the SA for more details. For the first time, Proenza Schouler is launching a secondary line. 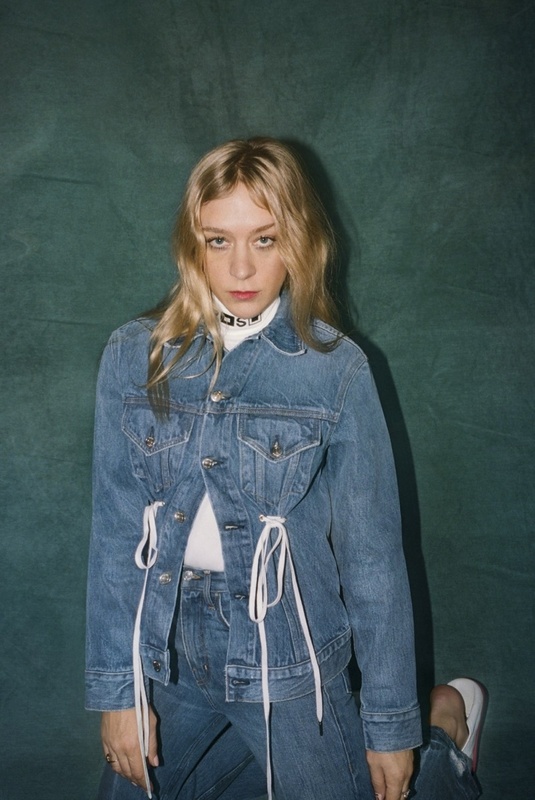 Called PSWL or Proenza Schouler White Label, designers Jack McCollough and Lazaro Hernandez tapped Chloe Sevignyto appear in the official campaign images. Set to launch on November 6th, prices range from $195 to $1195. Photographer Ricky Saiz shot the campaign with styling by Haley Wollens. PSWL designs include classic ready-to-wear pieces like denim, t-shirts and sweatshirts. "It has always been a goal of ours to fully develop a well-rounded and balanced collection that mixes the high-end with the everyday in a way that speaks to both many of our personal friends, and to the designer customer we've developed over the years," says designers Jack McCollough and Lazaro Hernandez. 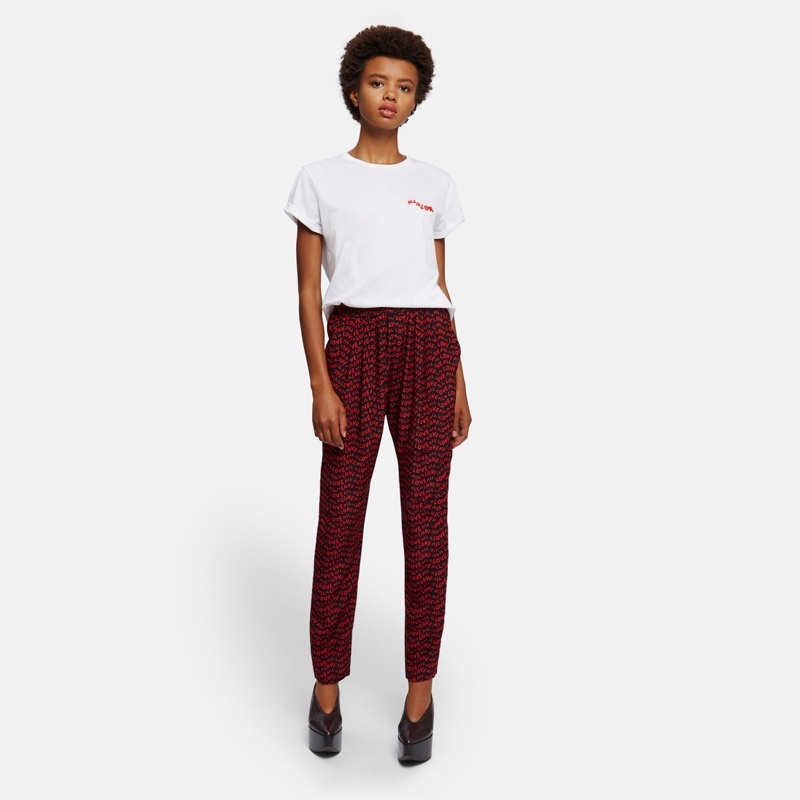 Stella McCartney is spreading a positive attitude with her new capsule collection. 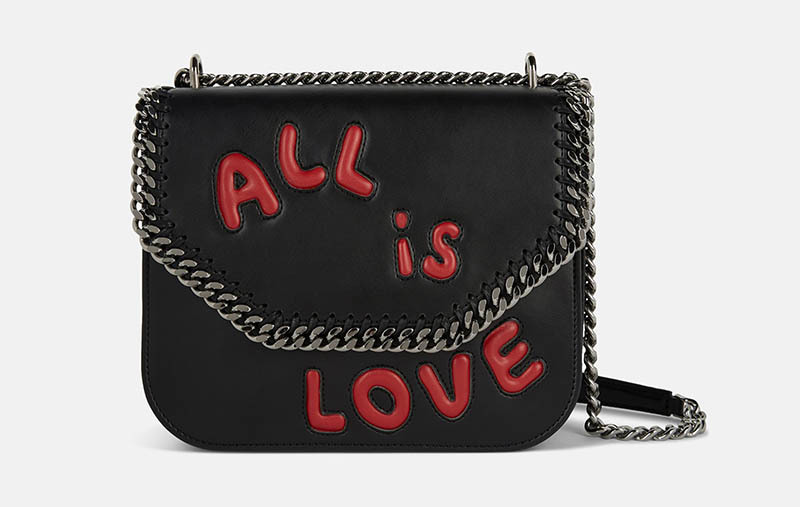 Called ‘All is Love’, the range features a unique motif made by artist Urs Fischer. The print decorates everything from bags to separates and accessories. Whether you want to wear a wrap dress or rock an updated verision of the ‘Falabella’ bag, get upbeat in the new collection. 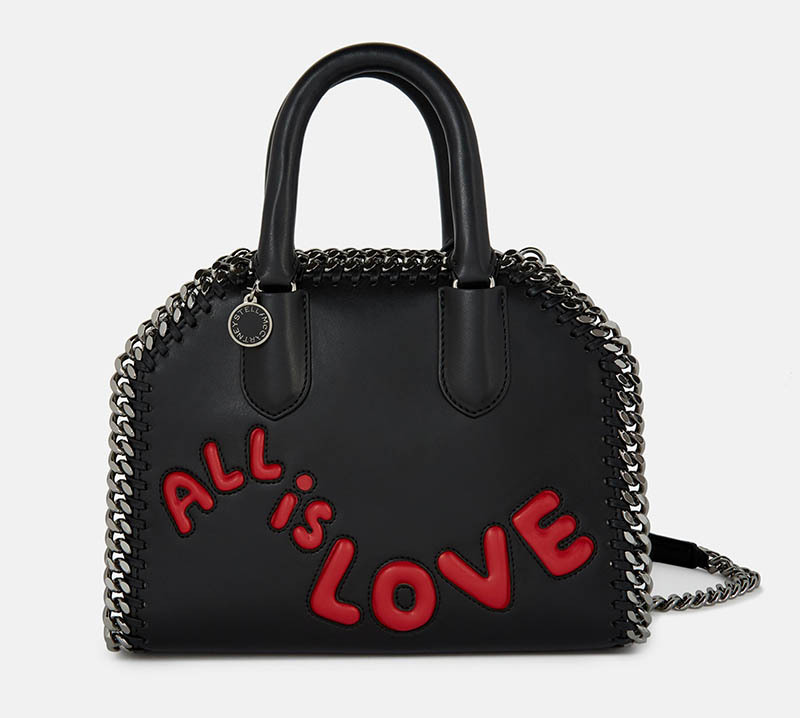 Discover some of our favorites from the ‘All is Love’ range below, and shop more at StellaMcCartney.com. 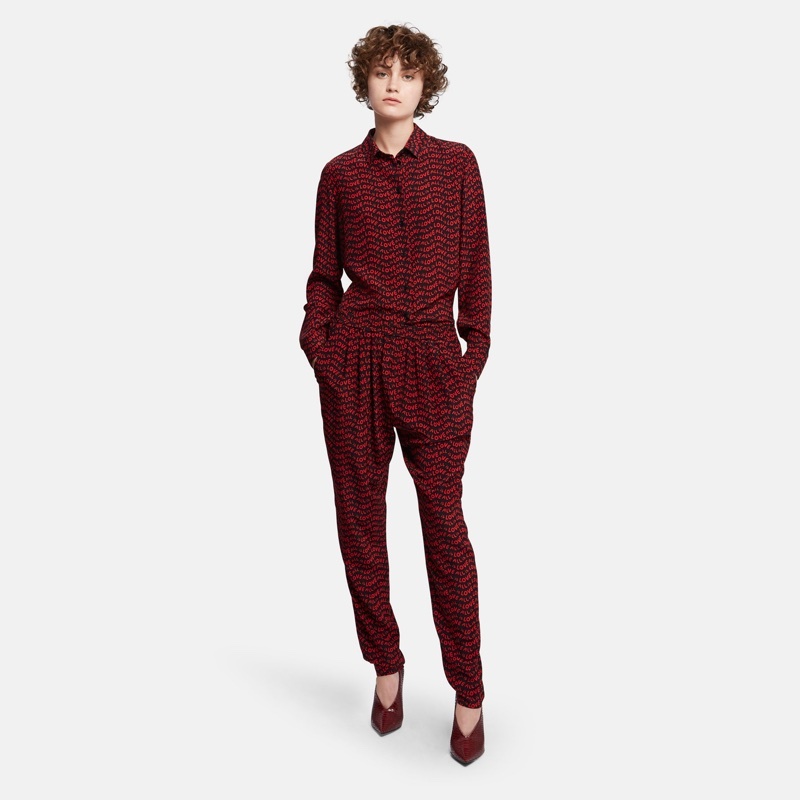 Spread the love in a printed blouse and pants featuring a unique motif. 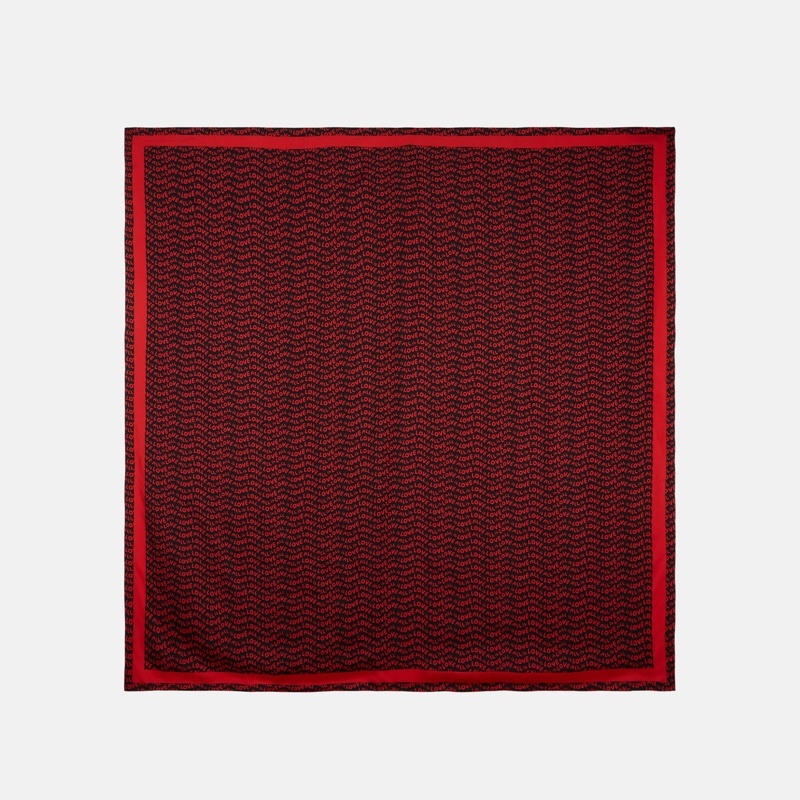 McCartney’s signature Falabella bag features a lovely motif in red. Designed by artist Urs Fischer, the ‘All is Love’ motif decorates this silk scarf. 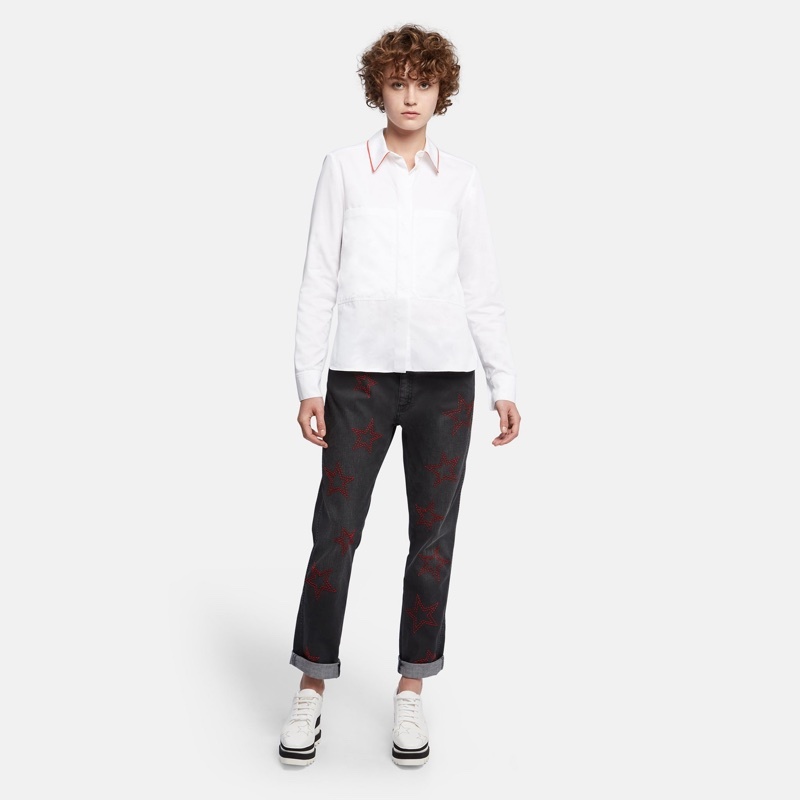 McCartney’s classic boyfriend jeans features red embroidery in star shapes. The iconic white t-shirt transforms with the lovely slogan. Made from vegan leather, this bag can be worn as a cross-body or shoulder style. 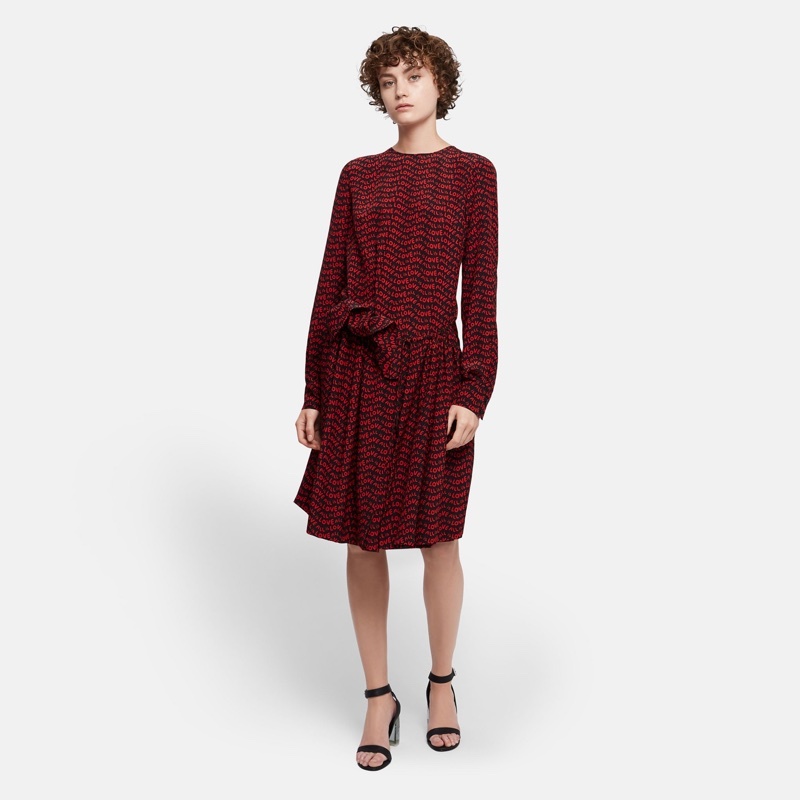 A silk draped dress ties at the waist with a graphic red print. There is a Mademoiselle Vintage Chevron WOC and there is a Mademoiselle Vintage Chevron Bag. Both are gorgeous, but if you want a bigger and more practical version, then go for the big size. The Mademoiselle Vintage is not a new bag but it’s only available in certain seasons. There is even a shopping bag version crafted. 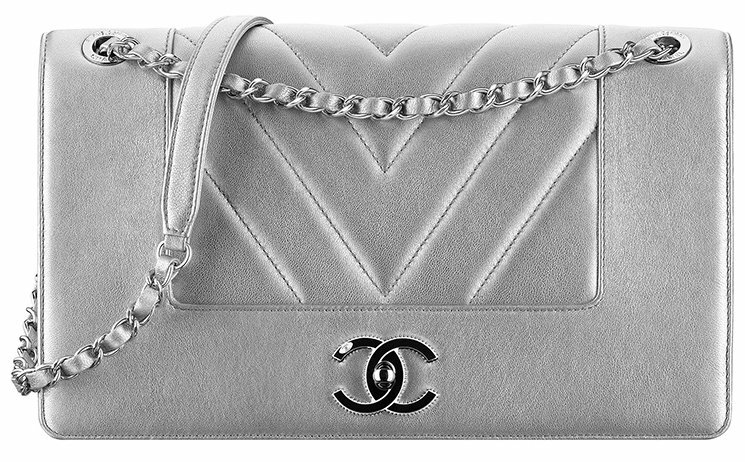 For the Fall Winter 2017 Collection Act 2, Chanel has made the Mademoiselle Vintage Bag with Chevron Quilting. Previously you could only choose the diamond quilted. There is a reason why it’s named ‘Vintage’. Put this bag next to the Classic Flap Bag and you can feel the difference. 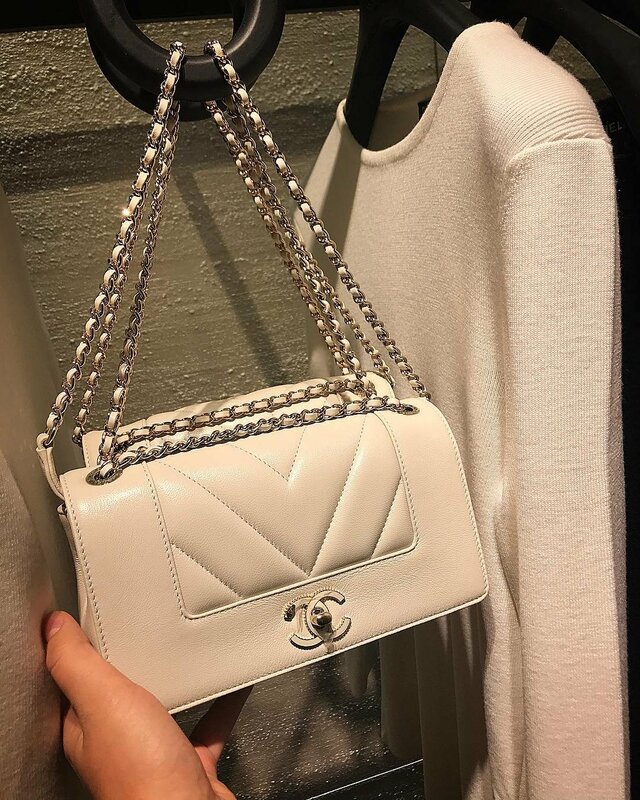 The Mademoiselle Vintage Bag is either diamond or chevron quilted in the center and it’s made in smooth leather around the flap, which is quite similar to the Boy Bag. The center is refined with the new CC lock and the top comes with woven chain leather strap for shoulder carry. Even tough this bag looks different from the Classic Flap Bag; the overall appearance is as classic. This bag goes well with casual clothing but also with chic dresses. Usually the leather choice is only sheepskin and for this new season, you can also choose metallic sheepskin. This bag opens with a turn lock. 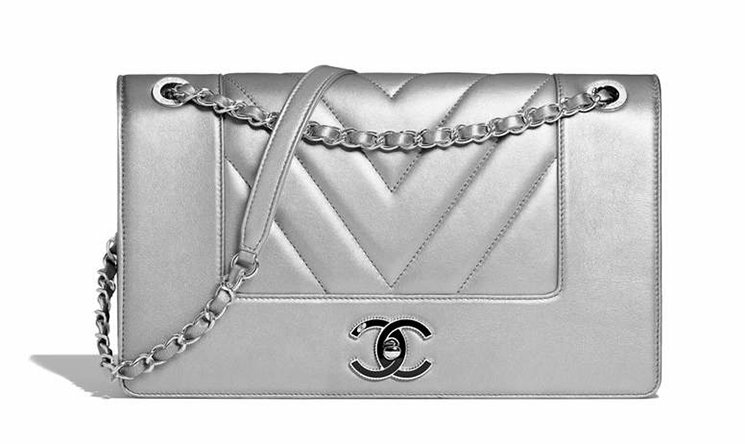 Inside you will find one large space just like other Chanel Flap Bags but also a zip pocket for important essentials. Style code A93085, measuring 6.7’ x 11.4’ x 3.5’ inches, price for the metallic sheepskin is at $3200 USD, €2990 euro, £2710 GBP, $4870 SGD, $24900 HKD, ¥385560 JPY,15050 MYR via Chanel boutiques. Italian fashion brand Etro steps into bridal for the first time with a limited-edition capsule collection. Available exclusively at Net-a-Porter, these ivory designs channel bohemian vibes. From silk gowns to dreamy robes and embroidered sandals, get ready to tie the knot in style. 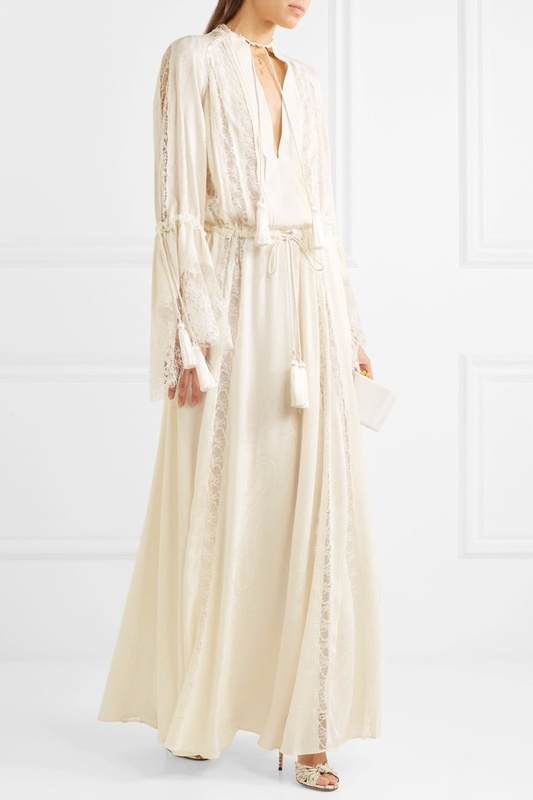 Discover some of our picks from the Etro bridal line below, and shop more at Net-a-Porter.com. Channel pure elegance on your wedding day in a silk-jacquard gown with lace detail. With a 4.5″ heel, these sandals feature lace and satin with playful tassels. 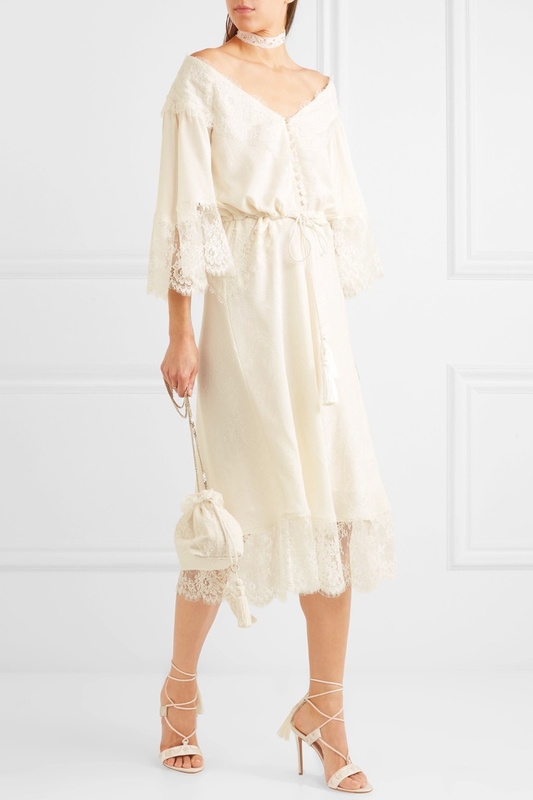 Channel retro vibes in a romantic dress cut from an ivory silk-jacquard with lace trimming. 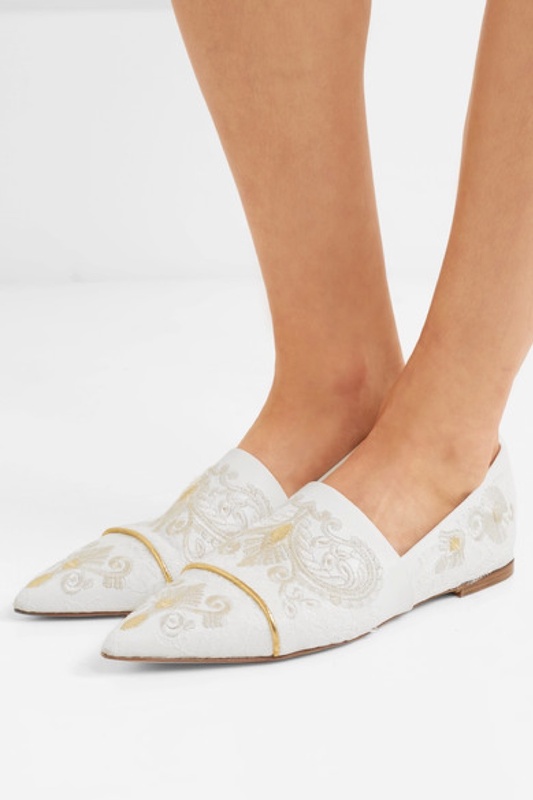 These embroidered leather flats include touches of gold and paneled white lace. 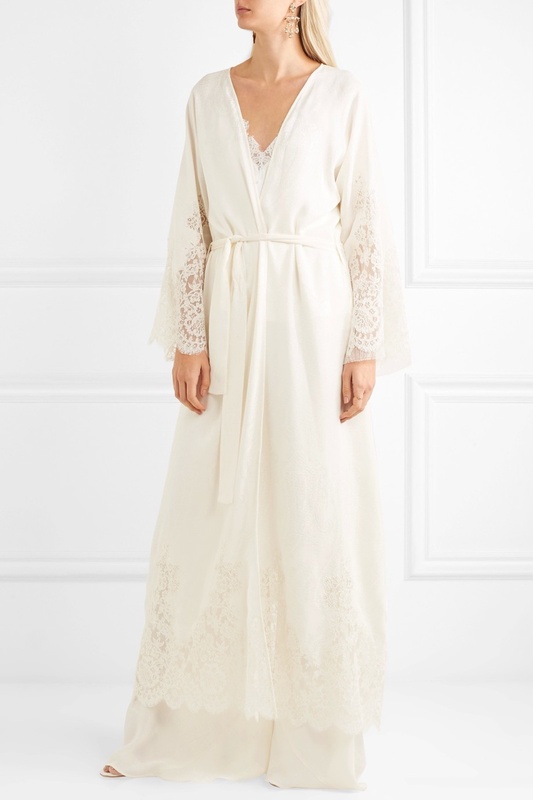 Cover up in style wearing a bohemian inspired robe featuring lace detail and a subtle paisley pattern. 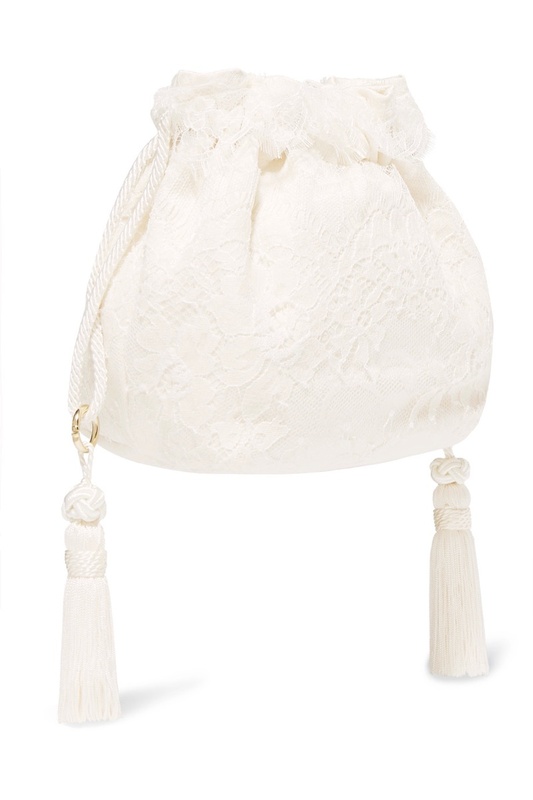 A classic bucket bag gets a luxe update with lace, silk-jacquard and playful tassels. 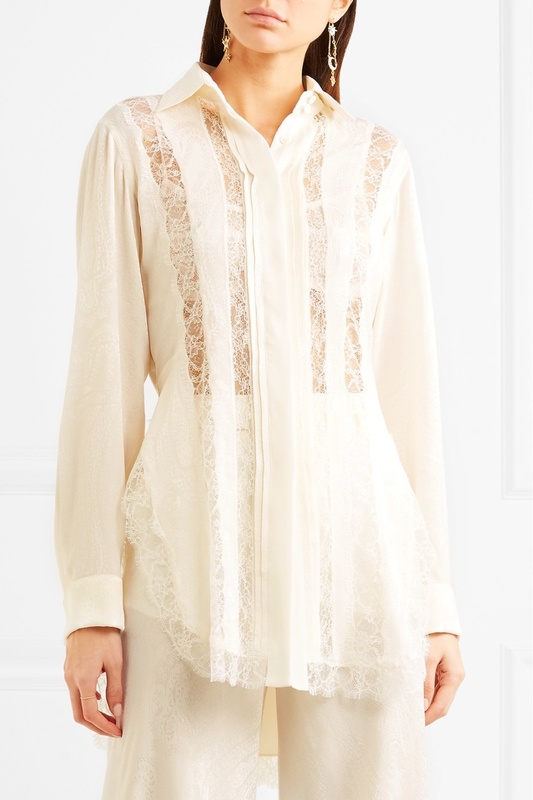 Channel romantic vibes in an ivory blouse with sheer lace details and cuffed sleeves. Natasha Poly gets her closeup on the November 2017 cover of Vogue Netherlands. The model wears a wide-brimmed hat with a knit sweater in the cropped image captured by Alique. Inside the magazine, Natasha poses alongside her daughter Aleksandra for the laid-back images. Stylist Martien Mellema dresses the Russian stunner in designs from the likes of Balenciaga, Joseph and Celine.